Philanthropy is “the love of humankind,” and National Philanthropy Day® (NPD) is the day that thousands of people around the world come together to put that word into action and to recognize the change that word has brought to our communities. NPD was originally conceived of and organized by Douglas Freeman in the 1980s, and the first official events held in 1986 after President Reagan signed an official NPD proclamation. NPD acknowledges the entire spectrum of services provided by the nonprofit community and recognizes the profound impact that philanthropy has on the fabric of society. 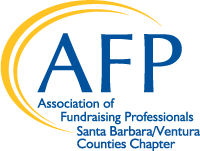 Each year, AFP chapters around the nation honor individuals and groups who, through their hard work and dedication, have enhanced philanthropy, their communities, and the world. The day provides an opportunity to reflect on the meaning of giving and all that it has made possible. NPD celebrates the endless daily contributions individuals and organizations across the world make to countless causes and missions. The purpose of this day is to recognize the great contributions of philanthropy—and those people active in the philanthropic community—to the enrichment of our world. The event will honor a recipient from each of the following categories: Philanthropist of the Year, Volunteer of the Year, Youth in Philanthropy and Professional Fundraiser of the Year. A recipient from each county will be selected for all categories, with the exception of the Fundraiser of the Year award. Registration opening soon, please check back with us!